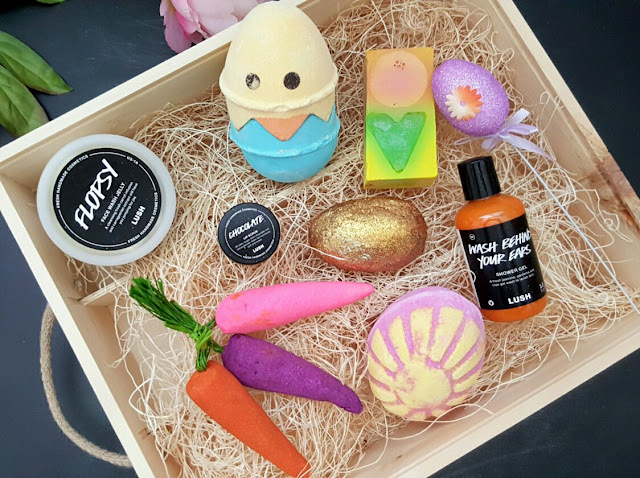 You gotta hand it to LUSH honestly, for consistently coming out with the cutest limited edition holiday specific body products - this time, as the title of the blog would indicate, is all about Easter! 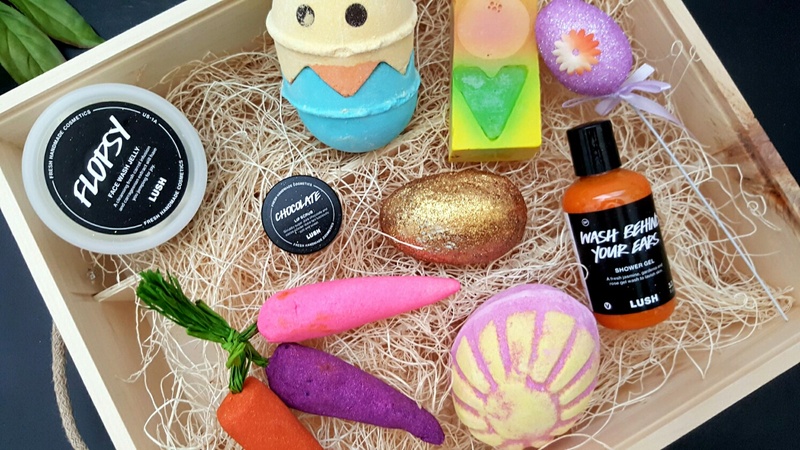 For those of you who have been following my blog, will know that I've been a user of LUSH products for years and well yes, while pricier then your typical bath products, who wouldn't want these super adorable and fun items to just make your bath time that much better! 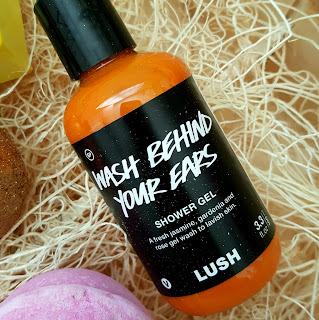 I was sent a few items from LUSH to review and try out and as always, keep on reading below to learn more about my thoughts! Chick N' Mix Bath Bomb - this little guy is $10.95 and contains there separate pieces. the little egg inside has a cute print of a bunny on it. You can use them separately for two baths, or just splurge and put them both in one bath. 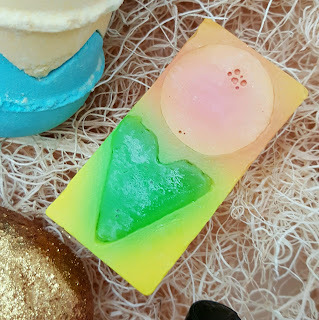 Obviously, the yellow top part would give you yellow bath water and the bottom would give you a bright blue - together, you get a lime jello green! The scent is a blend of citrus with a warm swirl of sweetness to it. Which Came First? 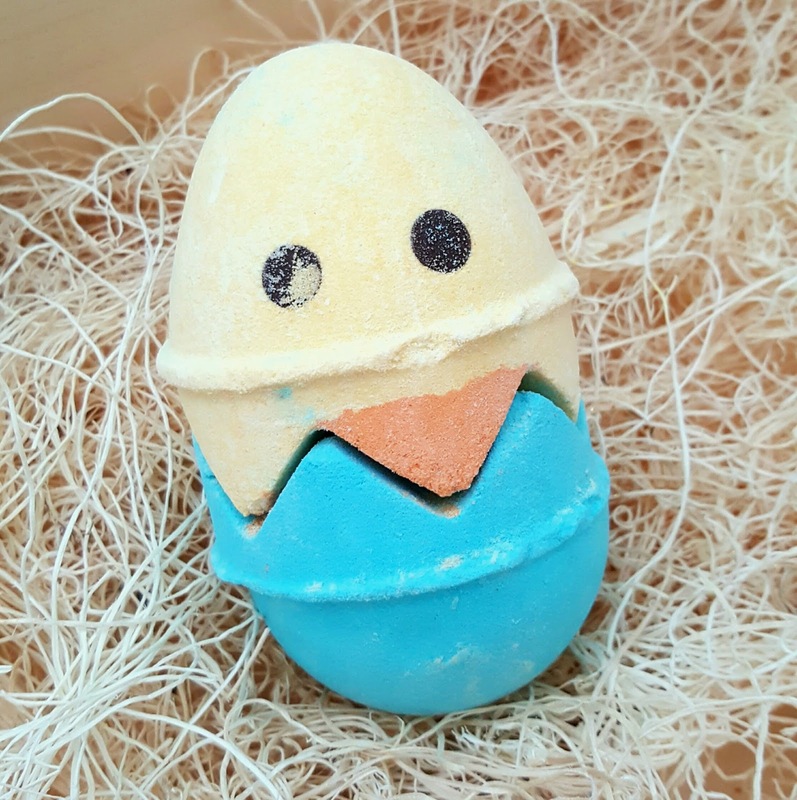 Bath Bomb - $12.95 - I actually haven't had the chance to use it yet as it is quite large, it is said that it is good enough for 3 soaks? Not sure how as it is a bath bomb so I guess I'll test it out, report back and let you know! for now, you can read the review online ~ but it contains grapefruit oil so it's right up my alley! Love the citrus notes! 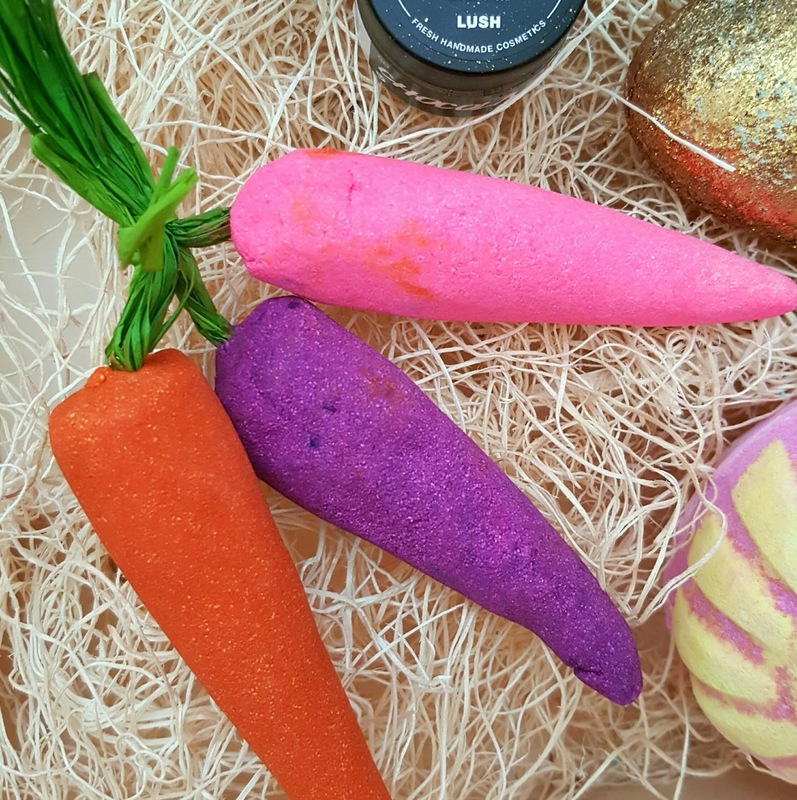 Bunch of Carrots Bubble Bar - $12.95. I actually bought this last year, and didn't understand it. I followed the instructions - run the bubble bar under water to let it foam. Well, it didn't. I also tried to swirl it in the warm water - nothing, no reaction. So I decided to YouTube it... well, this girl rubbed the hell out of the carrot (that sounds dirty) under the running water. That actually created TONS of bubbles and she only used one carrot. SO! these are good for three baths! 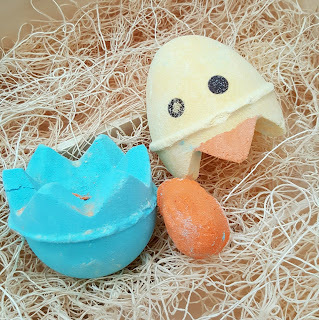 The previous year's set all came in orange, so I'm liking the trio of colors this year - the corresponding colors of the carrots determines the color of your bath water. They smell like lemon/citrus so it's very refreshing. 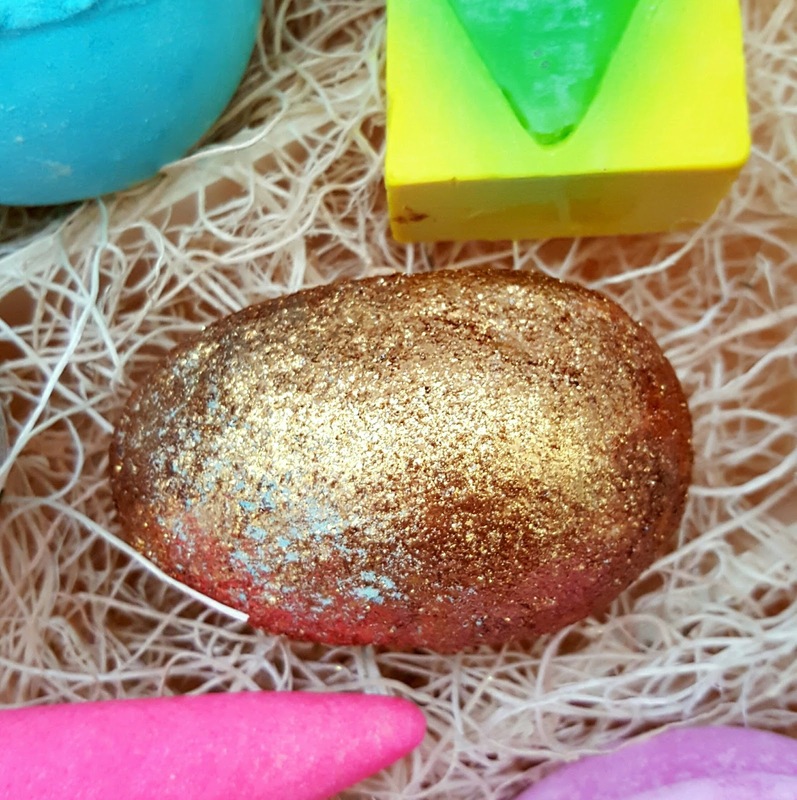 Golden Egg Bath Bomb Melt - $8.95. This is not for the faint of heart - it is for the lovers of glitter. Your bath tub will be completed coated with glitter when the water is drained, and also you will sparkle like Edward Cullen. I love the scent of this it is so reminiscent of my favorite Honey I Washed the Kids - the warm, honey sweet scent. Wash Behind Your Ears Shower Gel - $10.95 (100ml)/ $26.95 (250ml)/ $44.95 (500ml) - I have always been a fan of their shower gels, from Olive Branch, Honey It's Raining men and of course the Christmas special Lord of Misrule that I literally ration throughout the year. I just love the consistency of their gels, it's thick you only need a little bit but it works up to a beautiful foam and is really moisturizing. 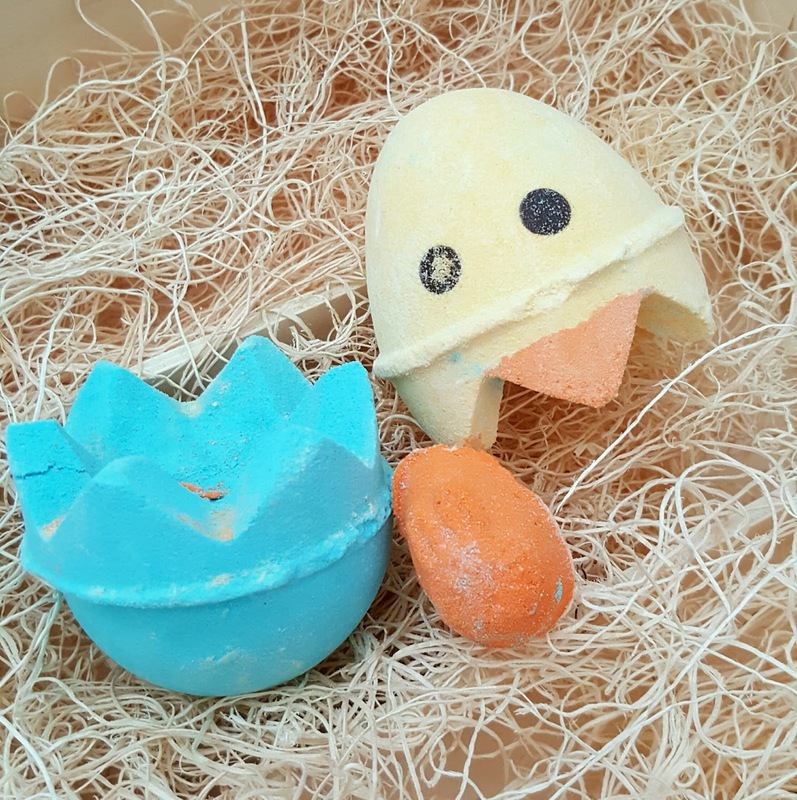 As this is the Easter gel, I was expecting the name to be a pun of something and being orange, maybe have it smell of carrots or something? Anyone else think that? If you're a lover of floral scents, you will enjoy this one. Personally, from Lush I enjoy the warmer scents - the ones with honey, vanilla etc or a spicy one. This was a bit too floral for my own personal liking, it has notes of Jasmine, Rose and Neroli. 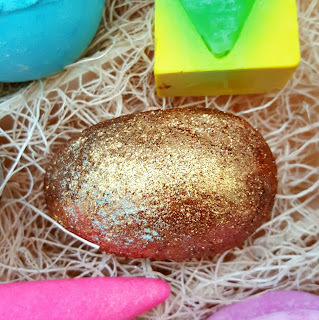 Chocolate Easter Egg Bar Soap - $5.95 - I LOVEEEEEEEE this bar soap! I want to buy a few to stock up. It's a perfect mix of citrus and warmth. It contains Grapefruit (a note that I love, even in perfumes) with a swirl of Vanilla. 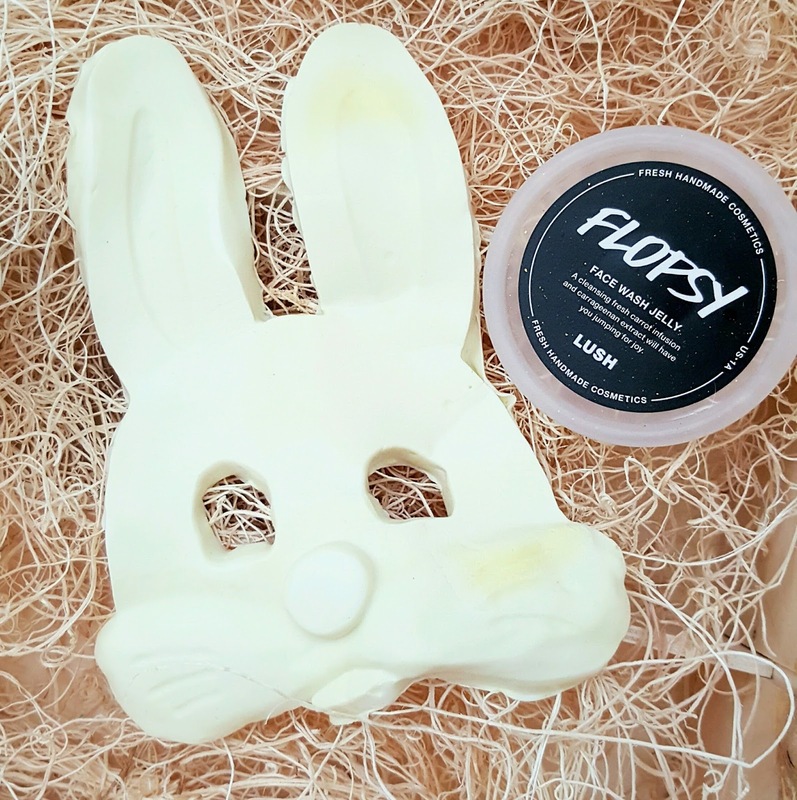 Flopsy Face Wash Jelly $9.95 - Yes, this looks like a giant bunny mask, and well yes....it is actually - haha. When unfolded, it actually ends up being quite large. It is big enough to really cover my entire face if I hold it up to it, and it's thick, so you're getting quite alot of product. How you use this is you break off a small piece of this, I would say about the size of a quarter or dime, and you wet it a bit and work it to a lather and massage it to the face. 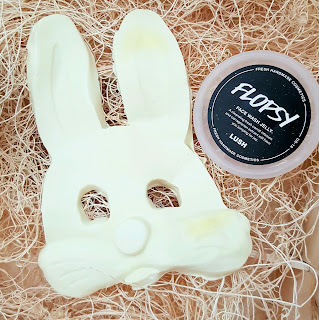 Just from unwrapping it and putting it on my props for photos, I could tell that it was very moisturizing, it had some oils in it (almond to be exact) and smells very citrusy and refreshing. 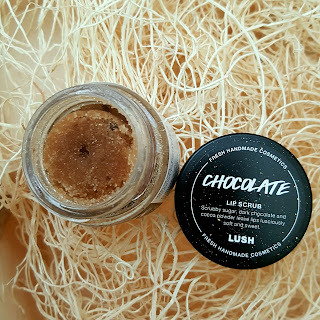 Chocolate Lip Scrub $9.95 - I had never tried the lip scrubs from LUSH before, I would have to say that it's because the one flavor I ever tried, I just wasn't a fan of. However, this one? Yes, please stock me up with 5 more. It smells like those giant orange chocolate things that you smash and break into pieces to enjoy? It smells so good...I want to eat this! The sugar granules are quite large so it will give you a good exfoliation. 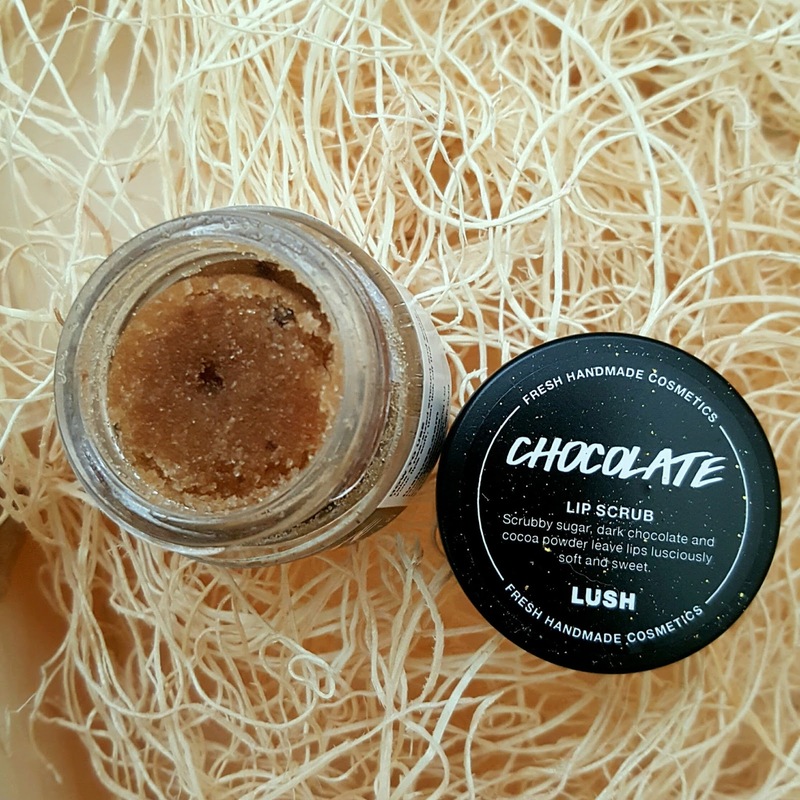 It contains jojoba oils to make sure your lips are left feeling moisturized.